The first full-time English-language programme, leading to the degree of Master of Science in Business - now reorganised as the International MBA - was launched in the School to meet the needs of the market-oriented Polish economy, and to provide a young generation of graduates with challenging new career opportunities in both engineering and management. A part-time programme, leading to the degree Master HEC en Sciences de Gestion Approfondies was launched for French-speaking graduates. The Executive MBA programme was launched. It was our significant extension, addressed to professional managers interested in enhancing their business skills and getting access to a rapidly expanding business network. Advanced Management Training in Pharmocoeconomics, Pharma Marketing and Law was launched. This is held in Polish and is aimed at graduates with a Masters Degree who are working or intend to work in the pharmaceutical sector. The new Cours Diploma in International Financial Reporting (DIPIFR) was launched. It is addressed to accounting and finance professionals. WUT Business School gained EU's financial support for a special edition of Executive MBA programme - "European Manager" - addressed to managers of small, medium, and large enterprises. - Executive and International MBA programmes for the second time achieved the highest quality standard of Mastery Class in the MBA Rating done by the Association of Management Education SEM FORUM. Both MBA programmes of WUT Business School: International MBA and Executive MBA were granted accreditation EPAS. Awarded by European Foundation for Management Development. This accreditation is a proof of the international top quality of MBA programmes and WUT Business School. - Extension of the School's offer of in-house programmes designed according to the individual customer needs - launching the first such a project - Investment Academy, addressed to the employees of BRE Bank. - The International MBA and the Executive MBA ranked 1st in the most reputable Polish MBA Ranking published by weekly news magazine WPROST. - MBA programmes launched in the WUT Business School have been placed on the 25th position among Top Business Schools in Europe. For the first time in history, an MBA programme run in Poland has been ranked among the best European Business Schools. - For the third time WUT BS's MBA programmes achieved the highest quality standard of Mastery Class in the MBA Rating done by the Association of Management Education SEM FORUM. - WUT Business School launched a new postgraduate course - Academy of Leadership Psychology. 15th position among the best business schools in Europe. - International and Executive MBA offered by Warsaw University of Technology Business School won the first position in Poland in Home&Market MBA Ranking. 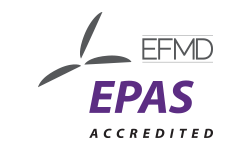 - The prestigious European Foundation for Management Development awarded the EPAS accreditation to both MBA programmes - International MBA and Executive MBA - for the following 3 years. - International MBA ranked 1st in Eastern Europe in the Eduniversal Best Masters Ranking in the "General Management" category. The Executive MBA programme won the 2nd position in Eastern Europe. - For the fourth time both MBA programmes achieved the highest quality standard of Mastery Class in the MBA Rating done by the Association of Management Education SEM FORUM. - WUT Business School launched a new postgraduate programme co-financed by the European Union - Family Business Academy. - International MBA won the 1st position in Poland in Home&Market MBA Ranking. - Executive MBA was placed at the 3rd position in Eastern Europe in the Eduniversal Best Masters Ranking in the "Executive MBA" category. - Launching a new in-house MBA programme - General and Executive PZU, addressed to the managers of PZU. - Executive MBA at WUT Business School ranked 3rd in the MBA WPROST ranking. - WUT Business School was ranked as the 17th best business school in Europe according to the TOP MBA Ranking. Once again WUT BS was the only business school from Poland. - A new in-house MBA programee was launched - MBA. Program Rozwoju Kompetencji Przywódczych, designed for GDDKiA. - Katalyst- Strategic Alliance with Central European University Business School. - New partnerships: with Baltic Management Institute and Chandragupt Institute of Management Patna. - Launch of the two new programmes: Total Design Management and Advanced Programme for Excellence in Pharmaceutical Business. - Launch of the managerial programmes for Lyreco and FORTE. - The first edition of ABSL Academy programme took place. - The Warsaw University of Technology Business School has received the prestigious EPAS accreditation for the Executive MBA program. The accreditation, given by the European Foundation for Management Studies, is a confirmation of the international standards for implementing the MBA program required in the global management education market.